Fans of popular series always want to read more about the characters and the world they've come to love. This might lead them to seek out fan fiction (or write their own) but such stories are of course never part of the official canon. That's why the growing trend of authors releasing novellas, e-shorts and short stories to promote and enrich their series books is such a treat for some readers - and a way for authors to earn additional income. Today, I'm going to talk about the stories that fall into the dystopian genre. 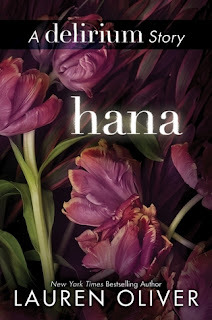 This week, Lauren Oliver released her e-short HANA, a story set in the DELIRIUM universe told from Lena's friend Hana's perspective and meant to be read after DELIRIUM. It was online for free for 4 days, and now available at e-tailers. If you've read DELIRIUM, then you know that Hana was Lena's more reckless friend who first introduced her to the illicit underground parties which allowed Lena the freedom to fall in love with Alex. In this story, you discover that Hana faces her own potential infection with the love disease and how that affects her relationship with Lena and, in fact, puts the events of DELIRIUM in a new light. Killer, killer ending. Definitely read this one if you're invested in the series. 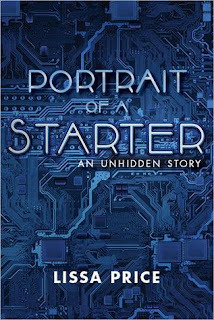 Also this week, Lissa Price released an e-short called PORTRAIT OF A STARTER that serves as an introduction to her debut novel STARTERS coming out next month. This story is told from Callie's friend Michael's point of view and precedes the events of STARTERS. Because I read it after I read STARTERS, it gave me new insights into Callie's character, fleshed out Michael nicely, and provided some more details about the world. I could also see it working well as an introduction to the series, though first-timers to the books might find more of a hook in the first chapters of STARTERS itself. This story is not essential to your understanding or enjoyment of the series, but it's a very nice bonus. 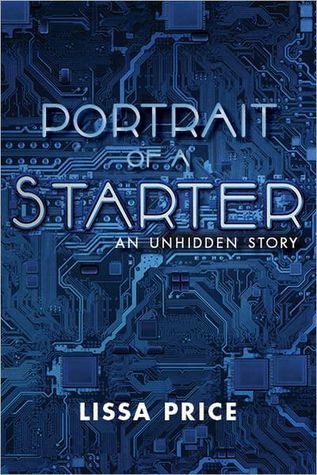 Lissa talks about the process of writing PORTRAIT OF A STARTER over at the League. Author Carrie Ryan has quite a few treasures for fans of her FOREST OF HANDS AND TEETH series. There's the prequel e-short HARE MOON (available at e-tailers or as part of the KISS ME DEADLY anthology) and three unrelated short stories set in the world of the unconsecrated available as part of anthologies. Of these, SCENIC ROUTE from the anthology ENTHRALLED: PARANORMAL DIVERSIONS is probably my favorite. It's about two sisters hiding out from the unconsecrated who spend their time planning road trips as if the world weren't in shambles around them. It's so well done - shocking and heartbreaking. Loved it. 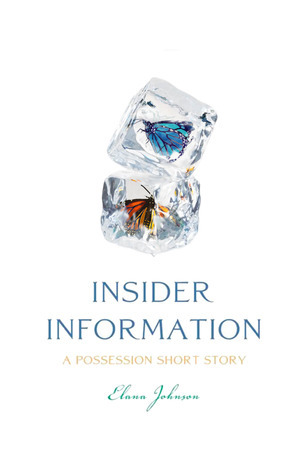 To find out more about all the related stories, see Carrie's website. TORTURED by Caragh O'Brien - a bridge story between BIRTHMARKED and PRIZED told from Leon's point of view. 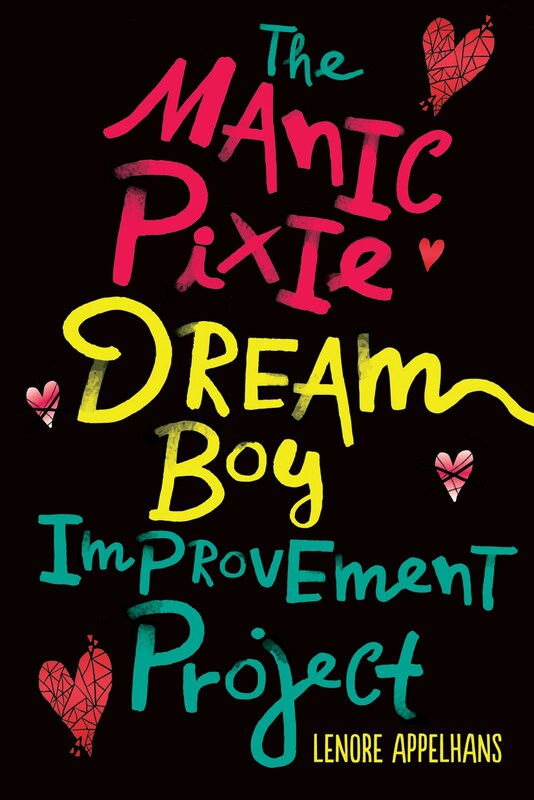 I love Leon, so I need to get a copy of this for my Nook when I'm back in the US at the end of April. 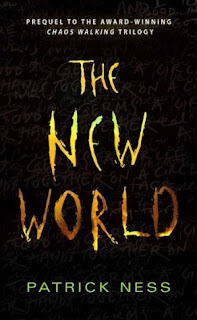 THE NEW WORLD by Patrick Ness - a prequel to the amazing THE CHAOS WALKING trilogy that details Viola's journey to the planet where the series' events take place. Why haven't I read this yet? 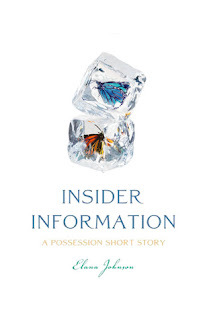 ETA - Just found INSIDER INFORMATION by Elana Johnson - a POSSESSION short story told from the POV of Zenn. And it's free on Smashwords. Any I missed? Any you wish for? I'd personally love for Suzanne Collins to give us a POV e-short from Peeta - or really any of the tributes (a la Stephenie Meyer and BREE TANNER). What about you? I love connected short stories. I published six connected short stories to my first series (Secret Society Girl) and released them for free once a month until the last book in the series came out, and I've published two (and will be publishing two more this year) short stories connected to my unicorn series. Great topic! I usually only read them if they are free. I actually missed Hana! I was planning to read it but my week was kinda hectic and I forgot.. And the promotion expired yesterday. Oh well..
Loving Books - Though I'm insanely busy, I managed to squeeze HANA in while it was free. That said, I definitely think it's worth buying! It's so much longer than many of the others, more like a novella. Thanks for turning us onto these. It's such a great way for the author to give us more of the tory from other characters' POVs, and the like. In my latest thriller, people tell me they love the MC's best buddy because he's so funny. This inspires me to do something from his POV. Favorite post of the month so far!!! I LOOOVE it when authors release partner stories for their books. Especially for free :) Thanks for uncovering all of the goodies for us! I have read Hare Moon and The New World. 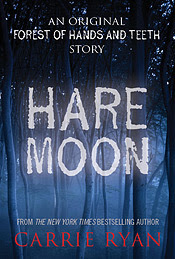 I actually paid for Hare Moon because it was Carrie Ryan, but I tend to only read them if they are free. Unless it is a series I am strongly invested in. 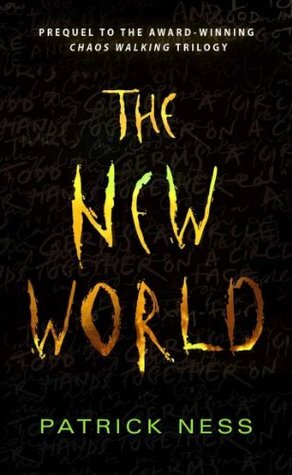 I've only read The New World (because I love Chaos Walking too much) but none of the others - simply because I haven't read the original book, or I wasn't interested enough (like in case of Hana - I want to read Pandemonium, but I don't think I'm engaged enough in the story to be wanting to read any companion pieces). Thanks for compiling this list! There are some authors on the list who are new to me, so I'm checking them out now. 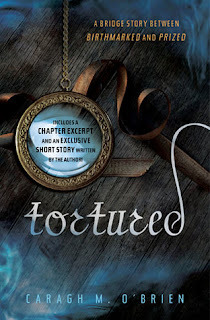 I'm excited for Tortured and the Prequel to Starters. I absolutely loved the others :D I tend to wait until I start or have just finished the book in the series so I don't forget the details in these shorts. Thanks, Lenore, for this post. I wanted to mention that if I had my way, my story would be free too. But the publisher gets the last word (love my publisher but love my readers too). Am going to be doing something fun with one of these authors in a couple of months (can't announce yet) so I will go read her story! I'd love a prequel to the Hunger Games telling us about the Capitol's rise to power and the Dark Days. I mean, people typically don't revolt against their leaders unless they have a good reason too, and I'm sure that the Capitol gave them one. I have "The New World" waiting and hope to get to it before the end of February. Admittedly, it makes me a bit sad to think that reading it will mean the definite end of things to read in the Chaos Walking series. I'm curious about the e-short to Starters. I am reading the book right now and while I'm enjoying it enough, I would like to get some more detail on some parts. I never read any short stories. I think I'm not so invested in a book to be interested to read more about it. I didn't know that Delirium had a short story, thanks for the introduction. As well as other recommendations I will surely check them out. Thanks. The Seeds of Wither includes an exclusive, never-before-published short story by Lauren DeStefano. "The First Bride" reveals the events leading up to Wither, from the point of view of the bride that came before Rhine. "The First Bride" is a very short story told from Rose's POV.